The White House Office of Intergovernmental Affairs has invited representatives from throughout the country to participate in a conference intended to reach out to local governments nationwide. 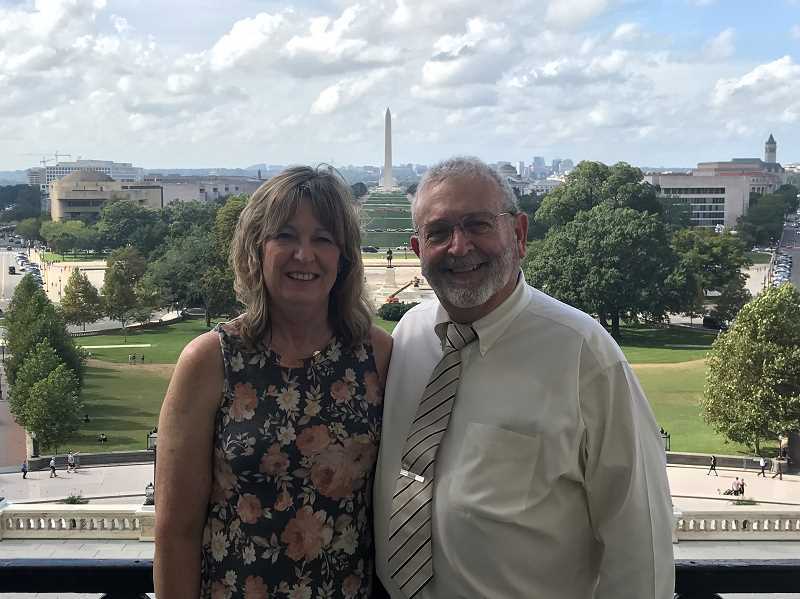 Earlier this month, Crook County Commissioner Brian Barney accepted that invitation and spent two days in Washington, D.C., meeting with multiple federal leaders and learning about different national departments and plans to improve local input in the nation's governmental process. "This is the first time that the White House administration has reached out to county level judges and commissioners," Barney said last week after returning from the conference. "It was a reach-out to grassroots and acknowledging the local governments. They feel they are important to the operations of the government and coordination with the people. They were very appreciative of us coming and appreciative of the work that goes on at the low grassroots portion of government." Barney noted that by this past July, President Donald Trump had given 302 interactions with state governors, something that has historically taken place throughout the nation's history. Such an option was never extended to counties, but by this October, representatives from every county in the U.S. had been given the chance to come to the White House. The two-day event began with an introductory meeting during which Barney and about 15 other county commissioners from Oregon and Washington were given information on what to expect during the conference and how to traverse security. They were then treated to a tour of the White House before being led to the Eisenhower Building, where the conference meetings took place. Multiple federal government leaders spoke during different sessions of the conference, including Secretary of the Department of the Interior Ryan Zinke, Seth Appleton with the Department of Housing and Urban Development and Assistant Secretary of the Department of Transportation Anthony Bedell. Barney said that Appleton gave a great presentation and relayed plans to provide more housing funds to rural America to rectify the housing shortage. Bedell talked about providing funding for roads below Category 6, which are gravel roads. Barney noted that Crook County has many such roads, and there is currently no funding available to maintain them. Also speaking to commissioners during the conference was Douglas Hoelscher, deputy assistant to the President and director of the White House Intergovernmental Affairs, Counselor to the President Kellyanne Conway and U.S. Vice President Mike Pence. "It was very different to see some of these people live and 10 feet from you," Barney said, adding that Pence seemed very nice and had a quiet demeanor. County leaders were also given the opportunity to provide feedback during the conference. Barney said that the conference made him realize the depth of government in this country, and how many things each federal department is dealing with at any given time. In addition, he detected an effort on the part of federal leaders to work more collaboratively with local government. "I think they are trying to simplify the feds and the things that they do," he said. Barney said the conference was very educational and that it gave him a lot of ideas, thoughts and contacts with all of the different federal departments. He also left realizing that beneath the polarized political fighting that plays out in the news, federal government is getting a lot of good work done that largely goes unnoticed by the media and public. "It was enlightening to see they are actively pursuing some good things that I think will benefit everybody," he said.